There are less than a handful of platforms online that homeowners can list their property, whether it is to sell or to rent out. 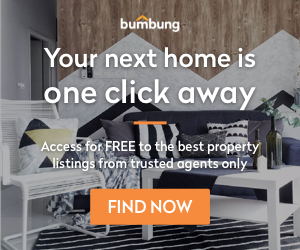 So far in our journey, we have encountered many homeowners asking us if they could list their property on Bumbung because they rather sell or rent it out themselves. Today, we are proud to launch the latest feature on our website that is specifically tailored for homeowners. Upload your house onto our marketplace in less than 5 minutes. Then leave the tedious searching work to us. Bumbung algorithm sends you exactly the right homebuyers or tenants for the properties you currently have. A dedicated team verifies each homebuyers and tenants to guarantee they are 100% authentic. Check the latest feature now if you have a property you wish to cash out on or to yield some profits off rental.